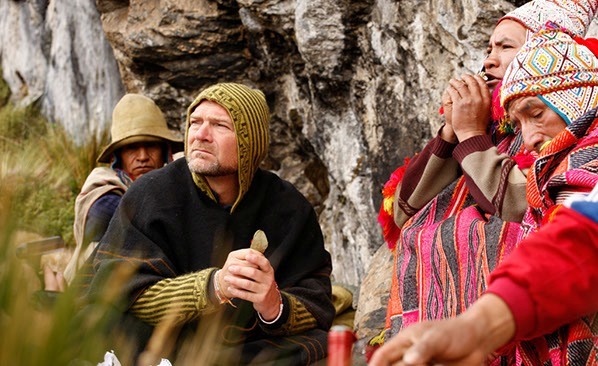 We were fortunate to catch up with one of the most rugged males on television, Les Stroud of Survivorman. 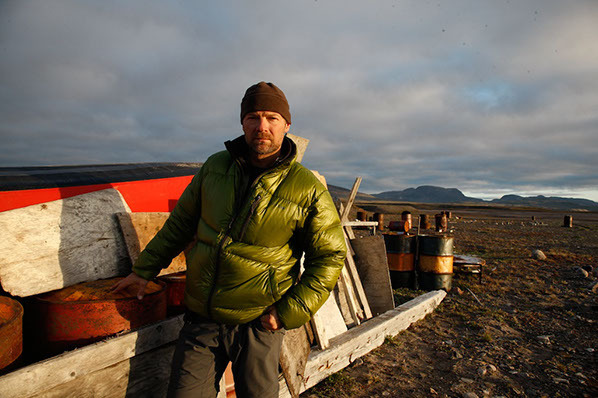 For those of you that don’t know Les, he is an outdoor adventurer, filmmaker, singer-songwriter, father and creator of the award winning television series, Survivorman. He is an impressive man living life on his own terms and we are excited to share some of his insight. We chop it up with Les about survival skills, business, parenting, restaurants & relationships. TRM: As you have been all over the world in some beautiful and some gnarly places, what places remain on your bucket list and can you give brief description why? TRM: What do you think is one survival skill that all men should have no matter where they live. I’ve always been shocked by how many adults do not know how to swim, for instance. LES: How to light a fire anywhere anytime and maintain it even in the pouring rain. TRM: Say you were a famous bank robber on the run, like Butch Cassidy, and you needed to hide out for the rest of your life – where would you go where you could live off the grid and be happy? TRM: Great choice, an archipelago comprising 176 islands in the South Pacific of which 52 are inhabited, according to Wiki. You would surely be safe and happy there! TRM: As men are created in this world, there is no handoff of any sort of wilderness knowledge, expertise or survival. 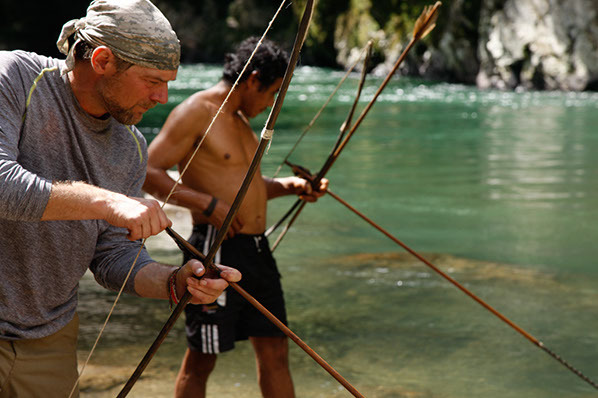 Can you talk about the survival show you are doing with your son – Survivorman and Son? 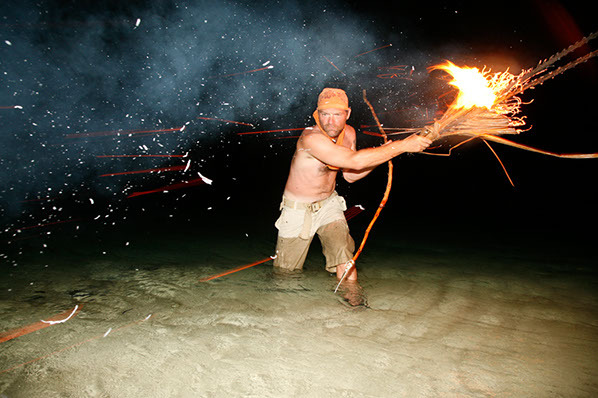 LES: Well the reality is 99% of men don’t need true wilderness survival skills anymore and would never use them. There are few of us who thrive by getting dirt under our fingernails of the wilderness variety – it’s a wonderfully idyllic state of being; that is all of us men pretending we’re Jeremiah Johnson – but that is not the world today, is it? Is knowing how to start a fire with a fire bow going to help the head of shipping and receiving in Minneapolis? Probably not, so is the question about the handing off of knowledge to help young boys become men or is it about the handing off of specific wilderness knowledge? These are two different concepts. We can become good and strong men full of character without knowing how to fish. On the other hand there is something pure and primeval and wonderful about wilderness survival skills and bushcraft in general. I love them deeply of course – which is to say I have a real passion for all things to do with the wilderness and the skills that make for being in it a safe and enjoyable experience. I live and breathe them really, but is that why i took my son out to do Survivorman and Son? To ‘pass on’ the survival skills associated with nature? Not really. If you watch the show you realize quickly there are alot more subtle moments of what we go through as father and son than what is directly related to getting a fire going, and I love that. I think that is what many people love about the interaction between parent and child – not that a young man is specifically learning how to navigate a dark forest without a compass. Logan learning how to get a fire going is not necessarily why i took him out to the wilderness. He doesn’t need that to gain character, however there is no doubt that it is the wilderness and the myriad of opportunities abounding in nature that make the rite of passage from childhood to adult so very enjoyable and memorable. A child can learn much in the wilderness about becoming an adult free from distractions that abound in the concrete world (Xbox, Youtube). The time spent between a parent and child in the wilderness cannot be equaled in any surrounding other than nature itself. I love, live, breath and adore all things wild and free, nature itself and the earth – but i am not a loner afraid of, or hating society. I think society is pretty messed up and needs to reconnect with nature to get back on track. But I don’t run from it (society) and in fact would like to do all I can to get men, women and children back out in the wilderness learning these beautiful skills and reconnecting with nature. TRM: Great answer, thanks Les. TRM: The Rugged Male is a lifestyle site that aims to provide quality guidance to men looking to be a stand up guy. What survival skill would you best attribute to maintaining a relationship or marriage? LES: Ha!!! I wish i knew!!! OK, there is only one: pure honesty. TRM: You are a noted blues man; your style has also been described as ranging from blues to alt-rock to folk. Your harmonica is a constant companion in the wild. Who are your musical influences? Outside of The Blues I am a classic rock freak, of course (that’s my era). For modern music, there is Dave Matthews, Ray Lamontagne, David Gray, Tool, Radiohead, Pearl Jam, Agnes Opal (who?). TRM: Awesome! That covers music and some research for our readers. TRM: Update our readers on the current tour: what can they expect from a typical show night to night? Where are you playing next? TRM: You have an impressive ability to connect with your audience on camera which in my opinion is a major factor in your success. But at some point you needed to become a businessman and pitch these ideas to networks, producers, publishers. Is there any advice you can give our readers about when or how to jump off the corporate grind and take a shot at doing what you love to do for a living? LES: Do it now, follow your passion NOW. This is not a dress rehearsal, this is life now. Why are you waiting? Scratch that, don’t answer that, just don’t wait. Get started right now, a little bit at a time, after your day job or on weekends or whenever. Remember the worse thing people can say is ‘No’. Then you move on until you find someone or some situation that says ‘Yes’. Life is about going after what makes you happy. If you are not going after what makes you happy then what exactly ARE you doing? Picture yourself on your deathbed – what memories do you want to have? TRM: Once while attending a wedding I used duct tape to hem my pants because they were too long. Clearly not a real genius move, but have you ever had to MacGyver your clothes or anything else in an urban setting, wedding, stuck in an elevator, anything like that? TRM: What is your favorite meal/restaurants when not in the wilderness? LES: That’s like asking what my favorite song is – it’s all mood dependent. However my go to’s are often foie gras, duck, ribs or filet mignon (wow i just realized that’s all meat!). Oh and the wine has to be be great. My best advice for restaurant dining, especially if you are dining with a lady: be a real man and go for the tastings menu paired with drinks. If your in Nashville go to the Catbird Seat (you’re welcome); in Las Vegas, the Capitol Grill for dinner and Mon Ami Gabi for breakfast (sit at table 75); In NYC, its Quality Meats; in Toronto for dinner – Lee Lounge and for coffee Sliced on Bay; in Calgary, Bistro Rouge (Paul Roganski’s place); in Philadelphia, The Mercato, and for a great cup of coffee in Lincoln Tennessee, The Frothy Monkey! 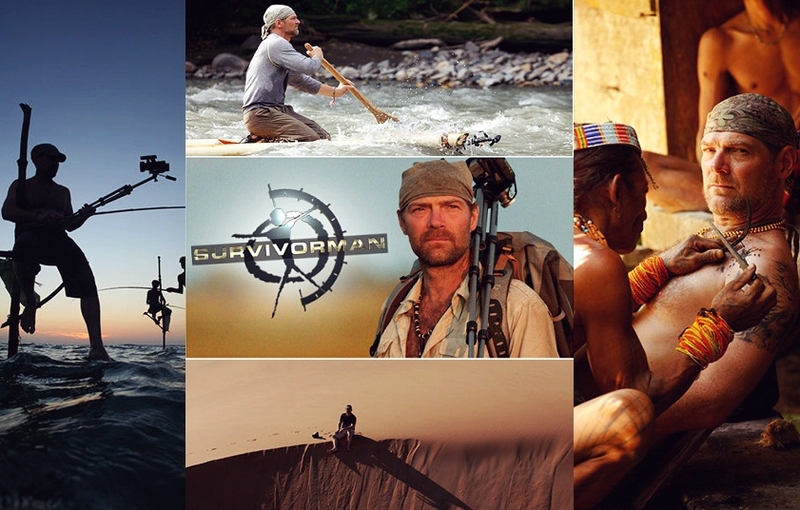 TRM: How important is it for you to stay in shape prior to filming Survivorman or can your knowledge beat most circumstances that require physical endurance? Actually it is vital, being in shape increases the chances of survival greatly. It should never be understated how important it is to be in good shape, just in case you have to scale a mountain that is in the way, or cross a swamp or climb a hill to get out, you gotta do it. No amount of extra knowledge is going to change that need to be in shape to do so. TRM: Was there a particular episode where prior to the engagement you concentrated on physical endurance more than local survival knowledge? TRM: Lastly is there any parting advice you can give our readers about your professional experiences and seemingly following your dreams and making it happen. You have had an impressive career so far and there is quite a demand from your audience to do more – Congratulations! LES: Here are my Three Zones of Assessment for wilderness survival. I wonder if this process can serve as a metaphor for surviving life? First and foremost, when faced with a survival or traumatic situation of any kind, one must calm down. “Take a knee”. Calming down enables the person to start to use their brain power in a useful way for enabling salvation from the circumstances, whatever they may be. However, just calming down is never enough, for it only stops the action of the moment. What comes next is the most important aspect of survival: making a decision and taking action. However, doing so without considering the options is foolhardy at best and likely to lead to disaster, more problems, or an exacerbation of the problems at hand. So decisions must be made on how to move forward. So far all of this is not rocket science, yet how does one make decisions without knowledge? This is where the magic of survival skills, of all kinds, kicks in – with knowledge. Without ascertaining all kinds of details (knowledge) about your predicament you are liable to make decisions that are ill thought out and potentially dangerous. But how do you get the information you need? Enter the Survivorman Zones of Assessment. · Are you tired or hungry? · What are you wearing? · What do you have in your pockets? *I am wearing a backpack with extra clothes, one sandwich and a half a bottle of water inside of it. I have a power bar in my pocket, a small knife and I’m wearing good boots. I do NOT have a flashlight or any signalling devices. I have lots of energy and no one is injured, but Brian is not physically fit. If you are not alone, repeat this process so that everyone checks out their own zone 1 and determines what the group has collectively. Even to the point of saying “everyone empty out their pockets – lets take stock”. This is simply the area immediate to you – the surrounding area of a few thousand square feet. · Do you have a tent? · Do you have any food or water or other items in packs? · What else is lying around you – firewood? a swamp full of edible cattail? an atv? with gas? · What can you glean from your immediate surroundings? Can you rip or break something apart to aid you? For example, can you make protective insulated boots out of your car or boat seats? *There are three of us. We have one tent and two sleeping bags, NO group food, a small first aid kit and one lighter. This is further beyond – maybe a mile or a couple of miles away. · How far are you from safety? · Do you know of anything not too far away that can help you, like a cabin? · Which direction is safety and how difficult will to be to get there? · How difficult would it be to get to safety and is everyone up for the task? · If not, what are the challenges to getting to safety and can you overcome them easily? · Does anyone know you are in trouble and if so how long before they effect a rescue? · How soon can you move, IF you can move? · Do you know these answers FOR SURE? *I remember that there is a highway only one mile to the east if we walk straight but I don’t know what the terrain is like and no one at home is expecting to hear from us for at least 4 more days. I also remember we passed a cabin only a half a mile back and I know for sure we can get to it for the night. It is only about 12pm. I am wearing a backpack with extra clothes, one sandwich and a half a bottle of water inside of it. I have a power bar in my pocket, a small knife and I’m wearing good boots. I do NOT have a flashlight or any signalling devices and I have lots of energy. There are three of us, no one is injured, but Brian is not physically fit. We have one tent and two sleeping bags, NO group food, a small first aid kit and one lighter. I remember that there is a highway only one mile to the east if we walk straight but I don’t know what the terrain is like and no one at home is expecting to hear from us for at least 4 more days. I also remember we passed a cabin only a half a mile back and I know for sure we can get to it for the night. It is only about 12pm. It likely only took 60 to 90 seconds to get all this knowledge, yet now you have many details and are able to make a series of quality and concise decisions about how to affect proactive survival – the only kind of survival there is. Thank you very much for your time Les, I know our readers will dig this interview and your Zones Of Assessment. I do think it can be used as a tool for surviving life. We also must thank the wonderful and talented Laura Bombier who provided these photos and this opportunity. THANK YOU! And last but not least .. Thanks For Reading!